Brand: Jackson Hole South Fork Strawberry Rhubarb Soda. 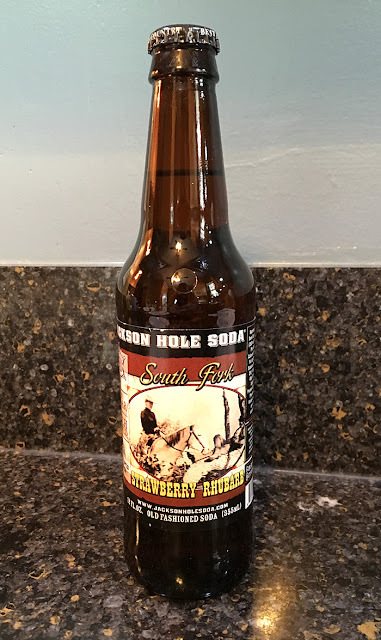 Review: This tasted like a pretty honest-to-goodness "strawberry rhubarb." The problem with that is I've never been a huge fan of strawberry rhubarb flavored anything. So the short version is the flavor is right on, but I didn't care for the flavor a ton. It has the sweetness of strawberry with a little bitter bite of rhubarb. It's not "bad," but it's just not a taste I prefer.